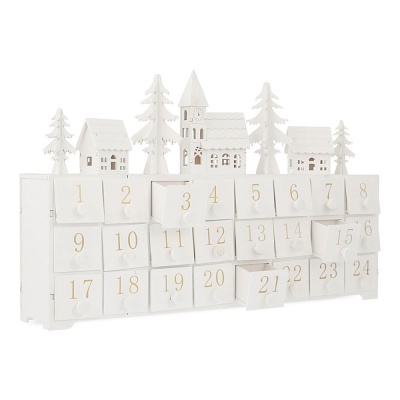 Noma® Wooden Advent Calendar LED Lit Village Scene exquisitely crafted in white wood includes 24 individual drawers for filling with your children's favourite treats. 4 x Warm White LEDs light up the Christmas village setting which is designed to sit on a home mantlepiece, bay window or tabletop. 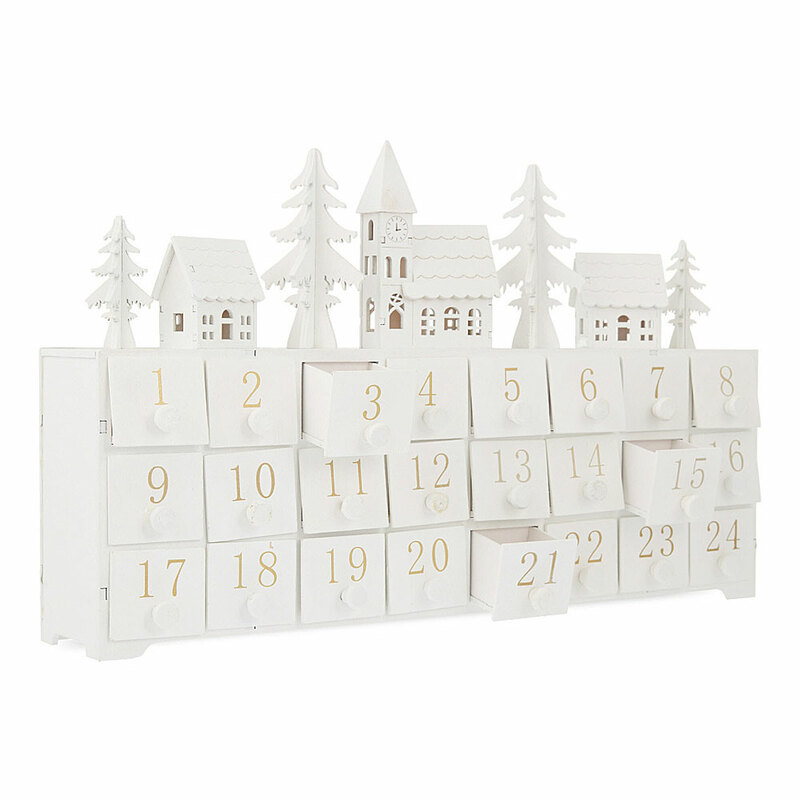 Delight the children with a wooden keepsake advent feature, where the countdown to Christmas is not just cardboard and foil! 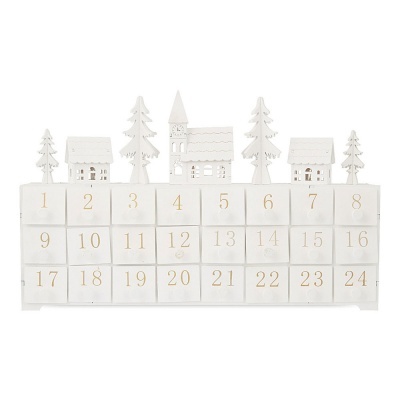 Each drawer can be slid in and out to be opened each day as December counts down to the big day.